If you one of the millions of readers who read e-books and you're wondering if you can do anything to green up your e-reading, the answer is clear and simple: Yes, you can. Actually, it's very easy. 1. Ask Amazon and B&N to follow Apple and disclose the carbon footprint of their e-readers. Why? 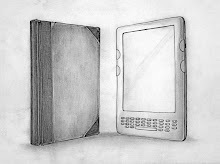 Both of them don't provide any sort of information on the carbon footprint of neither the Kindle nor the Nook and hence we have no way to know how eco-friendly these devices really are. Any sustainability journey begins with transparency and Apple is example both Amazon and Barnes & Noble should follow. This is especially true when it comes to Amazon, which sells the most popular e-reading device, and, as I mentioned many times in the past, has repeatedly ignored requests to provide information regarding the Kindle’s footprint. What to do? 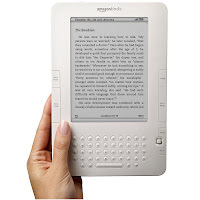 If you own a Kindle, email Jeff Bezos (jeff@amazon.com), founder and CEO of Amazon.com, letting him know you own a Kindle and you would really appreciate if Amazon would disclose the Kindle's footprint just like Apple does. If you own a Nook, write the same request to their customer service at nook@barnesandnoble.com (sorry, I don't have the email address of B&N CEO, William Lynch). Although we're focusing here on the market leaders, please feel free to send similar emails if you have other e-reading devices. Why? The largest part of your e-reader's footprint comes from its production - for example, about 60% in the case of the iPad 2. It means that when you get your new e-reader, you receive it with much of its footprint already attached to it and even though you can't change that, you can still use it to reduce your reading's footprint by using it as much as possible and hence avoiding the generation of carbon emissions from the printing of new books for example (4.01 kg per book). What to do? Read ad as many books and magazines as you can on your e-reader instead on paper. Why? Because you need at least couple of years of reading on the same e-reader to pass the breakeven point that will make your e-reader a greener option comparing to paper books (about 26 books with the iPad 2 for example). It's also about efficient use of resources. Buying a new e-reader every year or so might keep you with the most updated version, but will also increase your footprint significantly and will be a very inefficient use of resources. What to do? Try to keep your e-reader with you at least for 3-4 years. Then recycle it or sell/give it to someone else to use. Why? Because independent bookstores are a viable part of local economies and making your local independent bookstore stronger will make your community stronger. You can't say that about your local Barnes & Noble and Borders (if there's still one around you) store and certainly not about Amazon.com. Remember that social sustainability is not less important than environmental sustainability. What to do? Now that Google eBooks Now Sold at 250 Indie Bookstores it shouldn't be a problem. Just go to your local indie bookstore's website and purchase there the ebook you're looking to read. Why? Again, it's about maximizing the use of your e-reader and making sure you'll reach the breakeven point that you need to pass to make it a greener reading option. Renting books, whether through your local library or one of the online lending services available now is a great way to make e-reading more affordable, which will result in more e-reading and better and greener use of your e-reader. What to do? Check if your local library provides this option. Also, check one of the lending services available online - eBookFling, BookLending and Lendle. 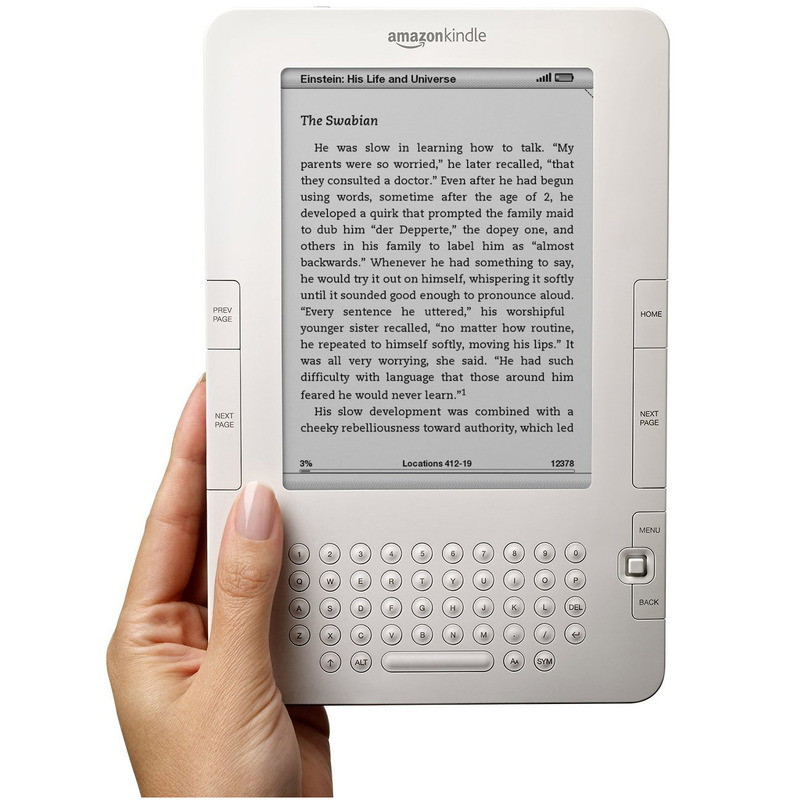 And don't forget, you can download a version of the Kindle for your computer if you aren't ready for a hand-held reader. Can't get much greener than that! 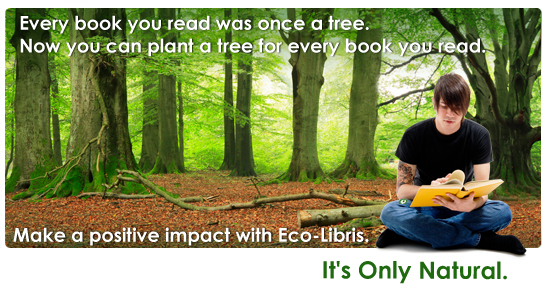 Eco-Libris: Plant a tree for every book you read! 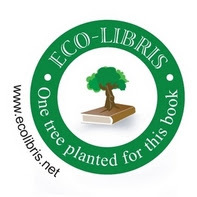 Founded in 2007, Eco-Libris is a green company working to green up the book industry in the digital age by promoting the adoption of green practices in the book industry, balancing out books by planting trees, and helping to make e-reading greener. To achieve these goals Eco-Libris is working with book readers, publishers, authors, bookstores and others in the book industry worldwide. So far Eco-Libris balanced out over 179,500 books, which results in more than 200,000 new trees planted with its planting partners in developing countries. Are ebooks greener than paper books? How green is your Kindle? Are you buying eco-friendly business cards? Does it cost more to print books on recycled paper? How about a digital job? How to avoid being green washed? How to select a “green” printer? Is Spot Color printing eco-friendly? What does FSC Certified mean?